A rare view of the Independence Day fireworks from the roof of the Lincoln Memoiral. The image is featured in DC PHOTO BOOK: An Insider’s View. The National Mall is an amazing place and I hope you will take a few moments to visit the Women’s Memorial where my images from WWII Memorial: Jewel of the Mall are featured. For the Ipad cognoscenti, we have created three iPad books which include more material than the original books and are well worth a Summer’s exploration. Looking forward to seeing you on the Mall! 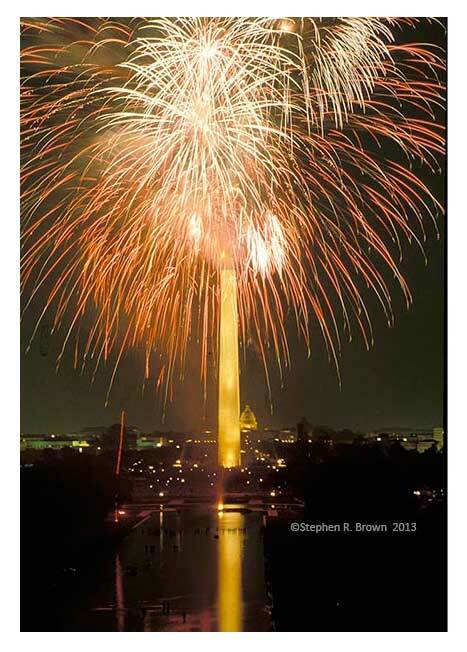 July 3, 2014 | Filed under Books, DC Photo Book, Honor Flight, Photography, WWII Memorial and tagged with Arlington Cemetery, Art, DC PHOTO BOOK, Honor Flight, Jewel of the Mall, National Park, patriotism, photography, Senator Dole, Travel, veteran, Washington.